Really love this stamp. 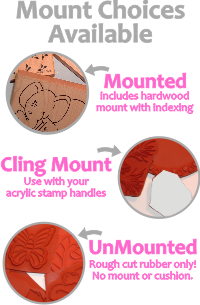 Awesome stamp for using with my stained glass backgrounds and for my sympathy cards. Stamps out very clear. Great addition to my stamp collection. Saw a wedding card made at the Allentown Stamp show and it was simple but beautiful. I had to have it. Took only 3 days to receive. Have never been disapointed with anything that I have ordered from this company.